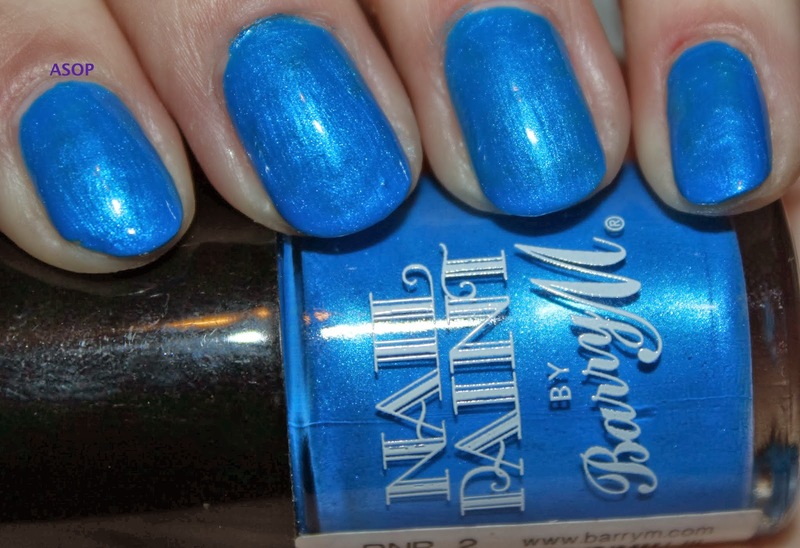 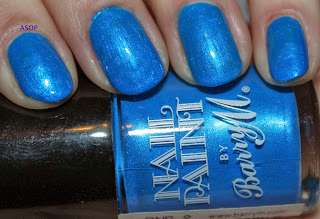 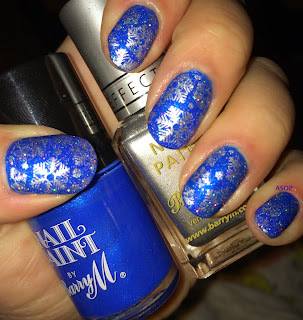 I started with a base of Barry M's Retro Nail Paint 2 (aka, Electric Dreams), it is sort of a bright blue with a shine and streaky kind of finish. 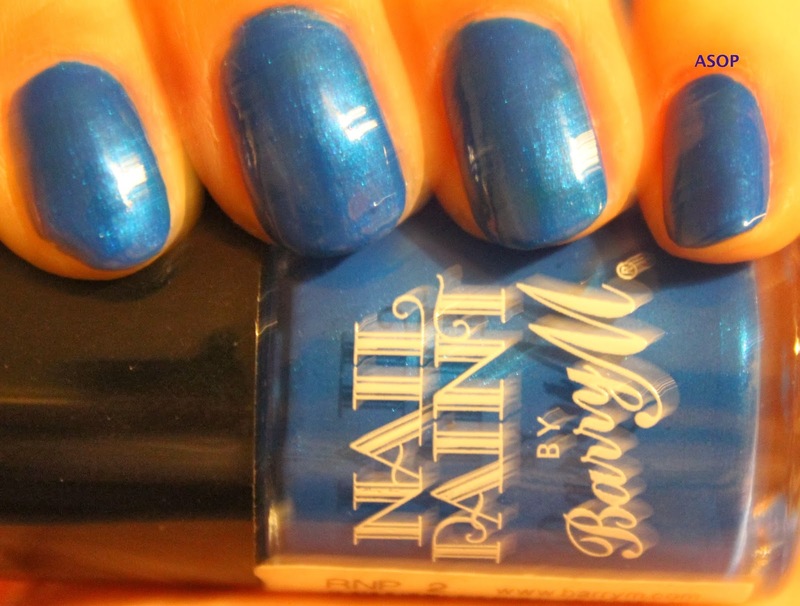 It was released as limited edition in Boots and Superdrug the other year along with 4 other 'Retro Paint Colours'. 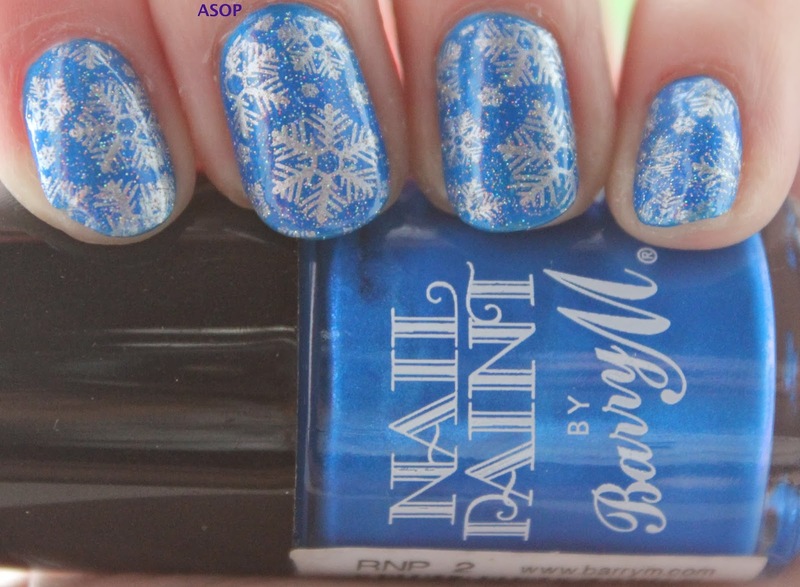 This is one coat of RNP2, as I knew I'd stamp over it and cover most of it and didn't have time to apply a second coat just because. 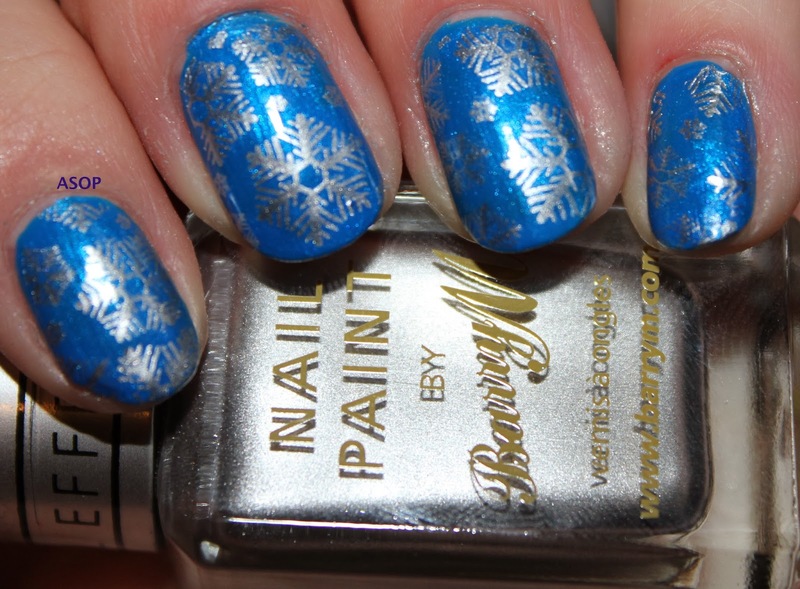 I then used Barry M's 'Silver Foil Effects' to stamp over RNP2, it is one of those polishes that stamp really nicely due to the consistency. 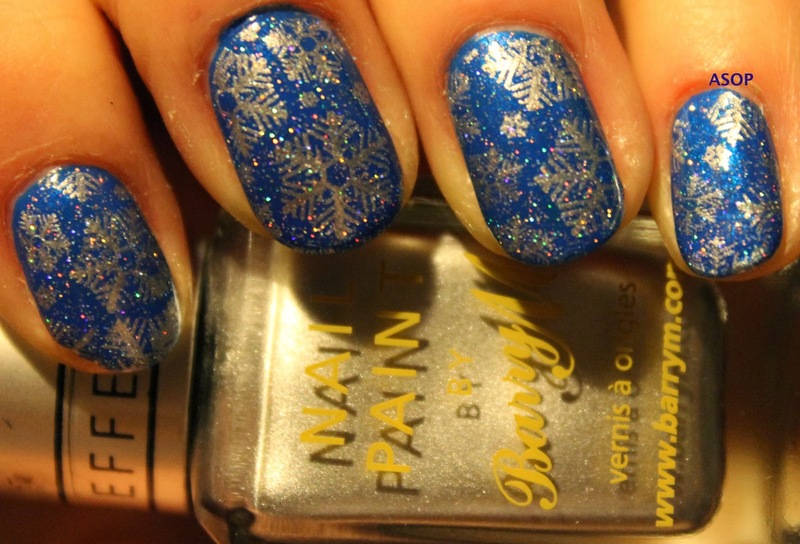 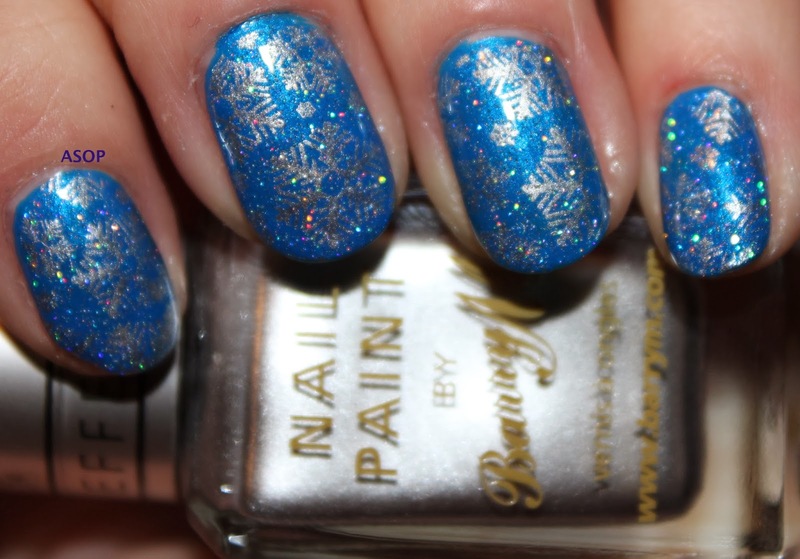 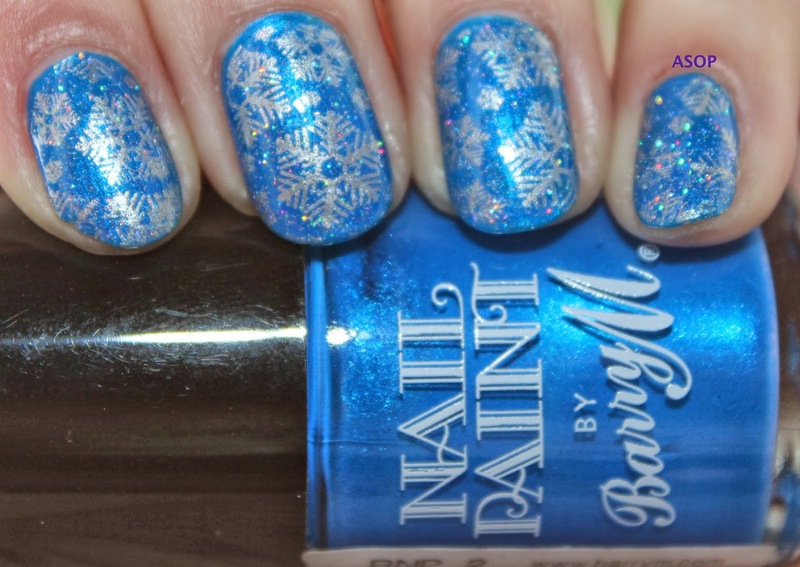 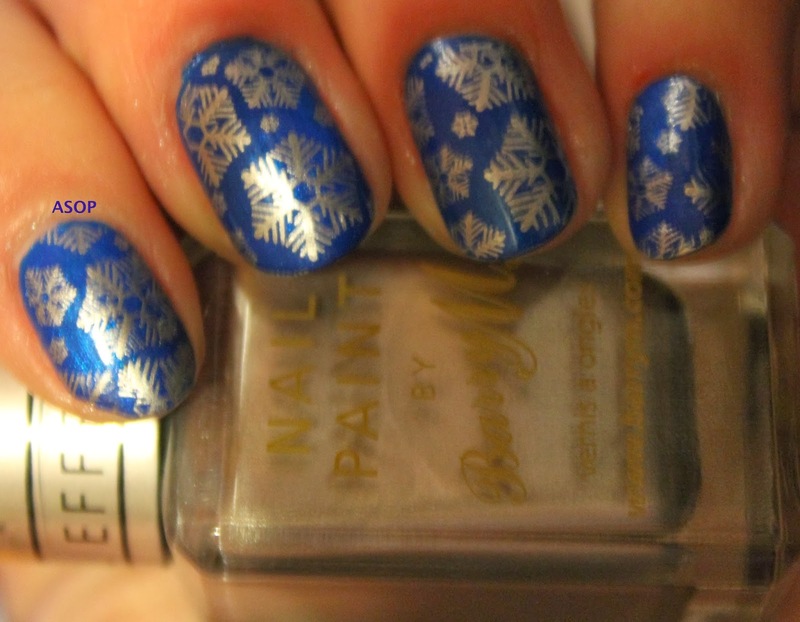 I used Vivid Lacquers 'VL 006' stamping nail plate for the snowflake image, as it is a slightly bigger image than my Bundle Monster plate and covers all my nails nicely! 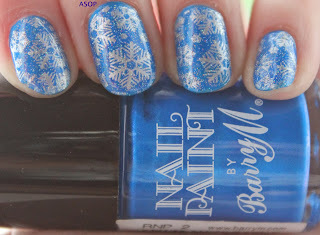 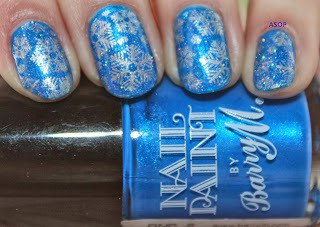 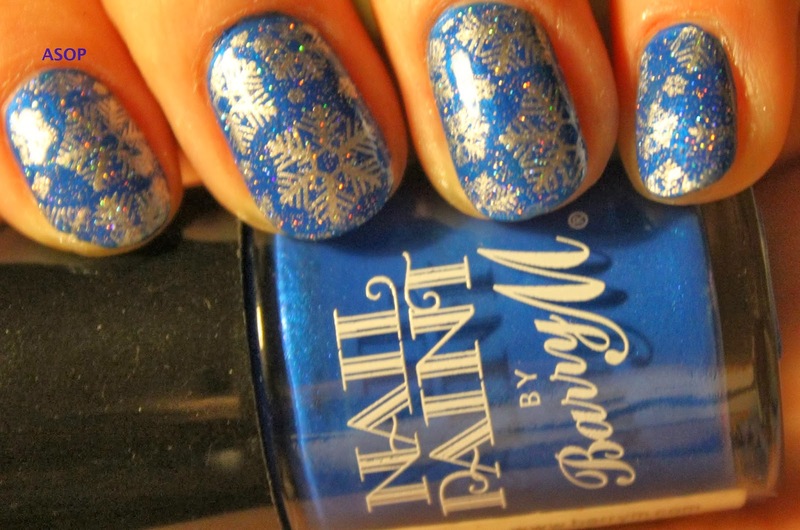 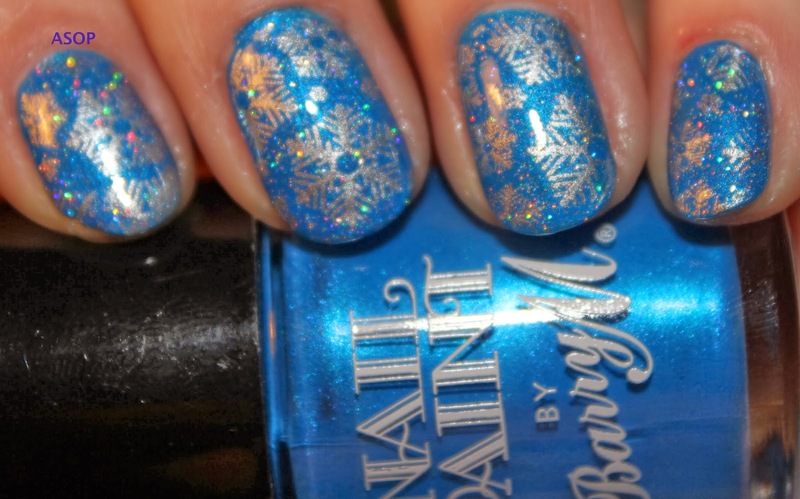 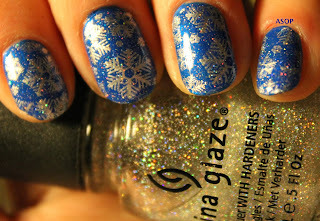 I tried to do it so that the snowflakes were different on each nail. 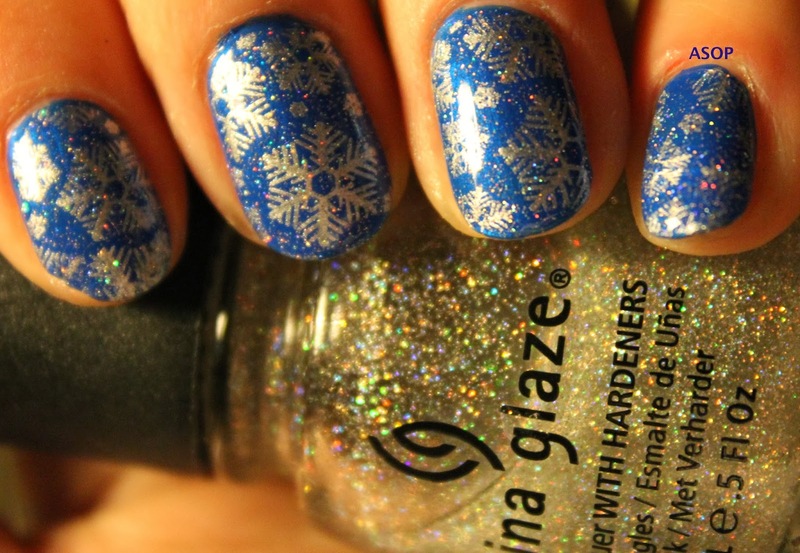 Lastly, I applied China Glaze's 'Fairy Dust' to give it more of a shimmery winter feel (and to make it look prettier in my opinion) :).